Every so often we see Washington DC area wedding inspiration and ideas come across our desks that are full of flair, fashion fabulousness and picture-perfect big day details! And lucky for all of us, today is one such day! This burnt orange (or spiced orange as she calls it!) and gold wedding inspiration is brought to us by the talented Tara Melvin of Perfect Planning Events, who designed this sophisticated wedding idea showcase around a real couple in the DMV – Dawn and Monqiue! Dawn, a makeup artist, and Monique, a daring bride who wore black, spent the day dressed up around some super swanky wedding details! The rich layers on the table, tall calla lily centerpieces, and even long orchid bridal cuff that doubled as a bouquet represent one bold and beautiful way to say “I do!” I adore all the glitz and glam they were going for this wedding inspiration, but it’s the motorcycle photo prop that had me! Thanks to Perfect Planning Events and Natarsha Wright Photography for sharing this ulta-chic Washington DC area wedding shoot with us! From Tara Melvin, Perfect Planning Events: This styled shoot, Glitz and Glam, is an inspirational photo shoot based on the love of real life Maryland-based wedding makeup artist, Dawn Newsome of Dawn Newsome Makeup Artistry. The shoot was to inspire elegance with a flare, but not with the traditional settings of most common weddings. 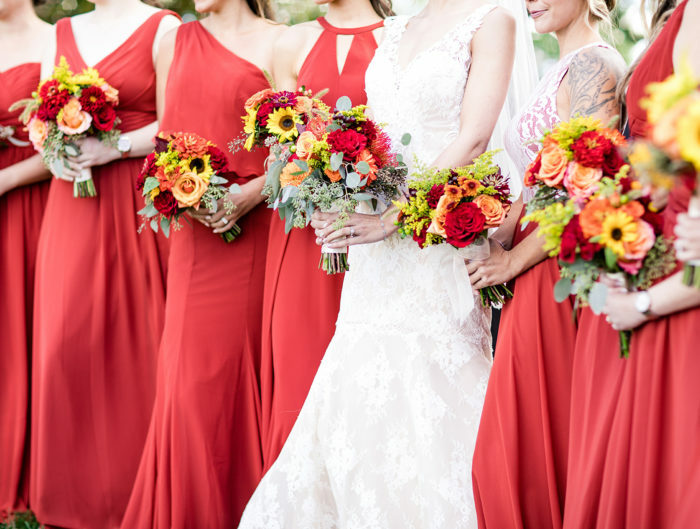 Spiced orange was the primarily color that drove the wedding inspiration for an intimate formal affair to celebrate the love of the couple, but also to inspire wedding guests to come party. The bride wanted to wear a formal style gown and not a typical wedding dress. And, to bring in the character of her love, we incorporated the motorcycle, which is a love sport for Monique. 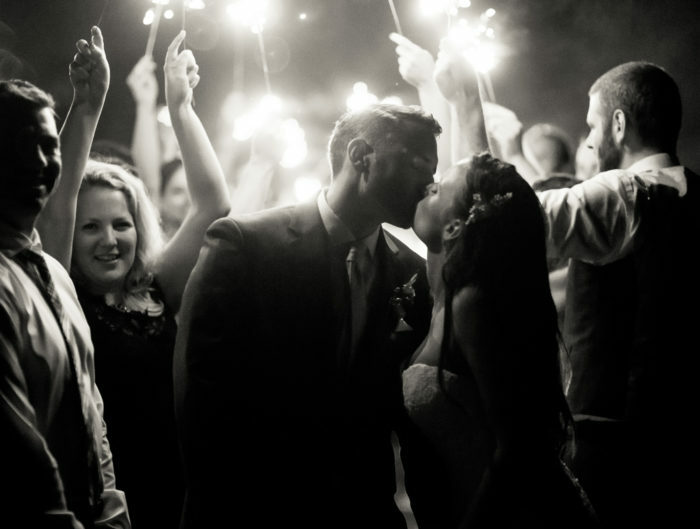 Thanks, Tara, for your beautiful Washington DC area wedding inspiration! Be sure to visit her at Perfect Planning Events and consider her for your wedding in the DC area. Don’t forget to visit our vendor guide for more amazing Washington DC area wedding professionals and our real wedding gallery for tons of stunning Washington DC area weddings!